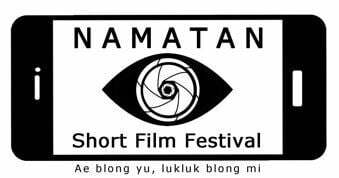 2019 Namatan Short Film Festival is officially launched. Lights, camera, action! The Australian High Commission’s Namatan Short Film Festival for 2019 is officially launched. Vanuatu filmmakers have until Monday 29 April to submit their films. Competition is going to be hot, so are the Namatan prizes, so don’t miss out on this opportunity to tell your story to the world! Namatan 2019 will be bigger and better thanks to our partner, the Vanuatu Broadcasting and Television blong Vanuatu (VBTC), and our sponsors, Digicel Vanuatu, ANZ Bank, and Air Vanuatu. We are expanding the festival this year with an additional category specifically for school students – we know the competition will be hot! “Australia is proud to support the only short film festival in Vanuatu which gives Vanuatu’s filmmakers an opportunity to tell their stories on a national stage. I encourage the public to get involved in this great expression of modern Vanuatu culture,” said Australian High Commissioner, Jenny Da Rin. The first prize of Vt200,000 will go to Vanuatu’s top filmmaker thanks to ANZ Bank. Our second place winner will take home a brand new Samsung S8, third place will win a Samsung J5 and the People’s Choice Award winner will get a Samsung Tablet, all courtesy of Digicel Vanuatu. The school category prizes are a laptop for first place, a projector for second place and a Samsung Tablet for third place. Finalist films will be screened across Vanuatu with help from long-time Namatan sponsor, Air Vanuatu. Namatan will be coming to communities across Efate, Tanna, Santo and Malekula. Follow the Australian High Commission Vanuatu’s Facebook page for screening dates and locations and information about the Namatan Finale in June. For your chance to win these exciting prizes, submit your film to the Vanuatu Broadcasting and Television Cooperation (VBTC) by close of business on Monday 29 April 2019. For your film to be eligible, it must include Namatan’s unique item for 2019, a traditional woven basket. Now entering into its eighth year, the festival annually reaches more than 4,000 people around the country. Good luck to all the filmmakers, and remember, Ae blong yu lukluk blong mi.